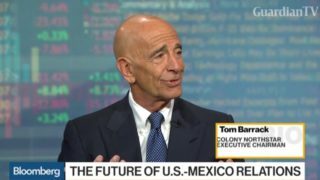 Tom Barrack, executive chairman at Colony NorthStar, discusses the Trump administration's awareness of stock market gains and the challenges of reforming Obamacare before attempting tax reform. 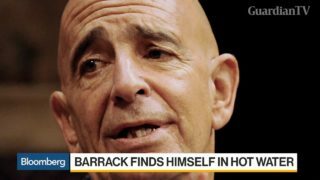 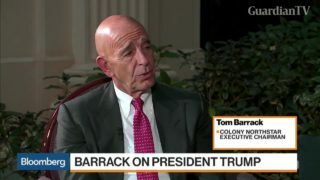 Tom Barrack, American private equity real estate investor and the founder, chairman and CEO of Colony Capital, discusses how Donald Trump negotiated for New York's Plaza Hotel and why he endorsed Trump for president earlier this year. 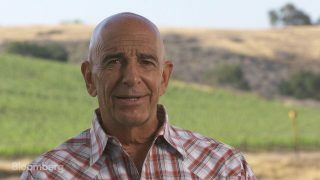 Barrack talks with Bloomberg's Erik Schatzker at his Happy Canyon Vineyard ranch in Santa Barbara.